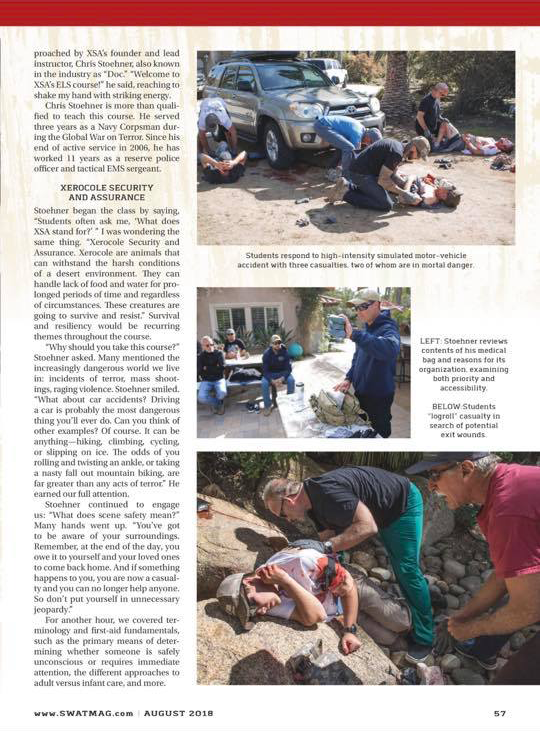 I was recently published in SWAT Magazine, featuring an Emergency Life Saver course I attended. 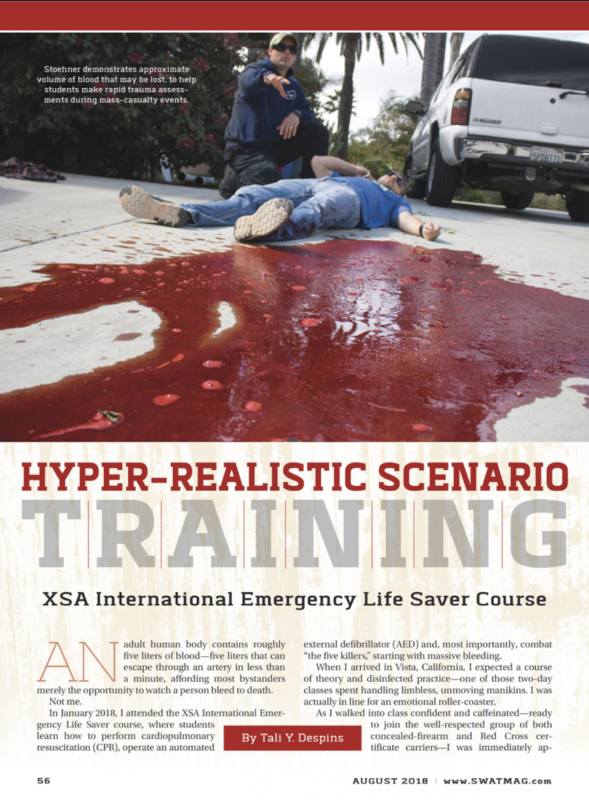 The course is offered by XSA International and is designed for civilians and professionals alike. 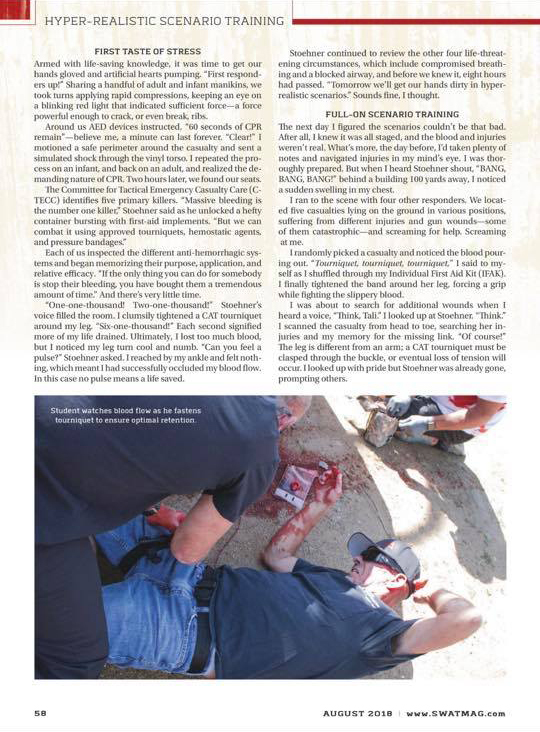 The lessons and tools I acquired were substantial–they inspired my article. 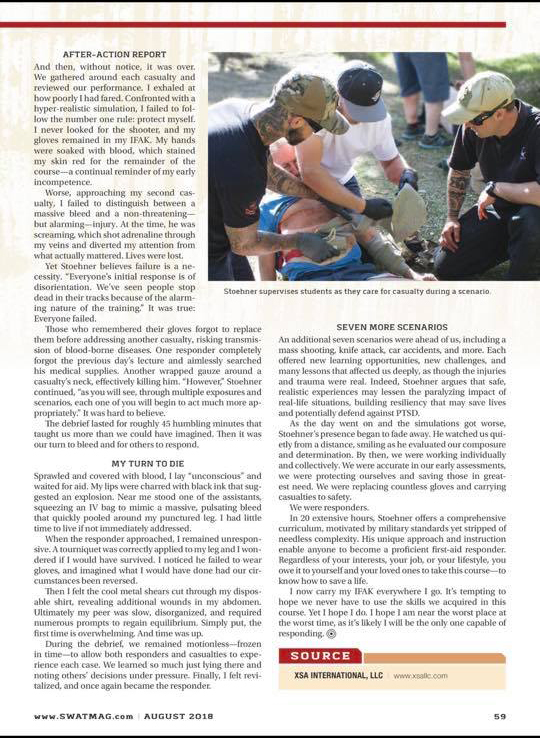 What’s more, in late April of 2018, due to unusual circumstances, I had crashed my motorcycle. My husband, who was first to respond, used the very skills we had learned 4 months earlier. He was able to ensure my safety by reviewing all the signs that may have indicated an emergency (such as massive bleeding). Thankfully I suffered only minor injuries. (You can read about my crash here).